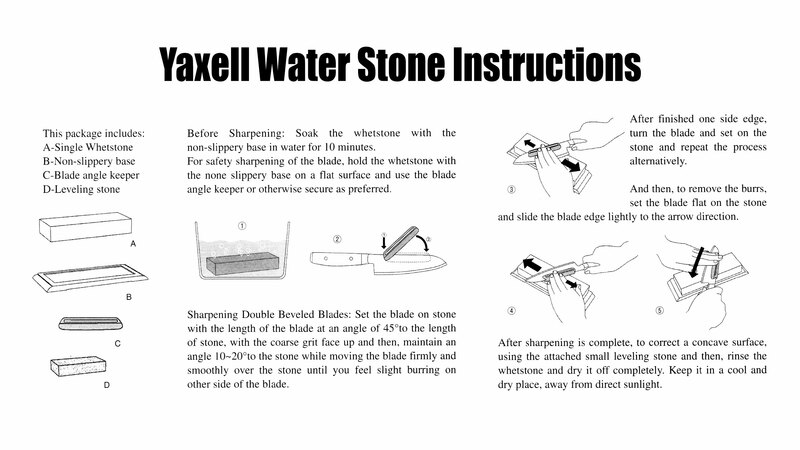 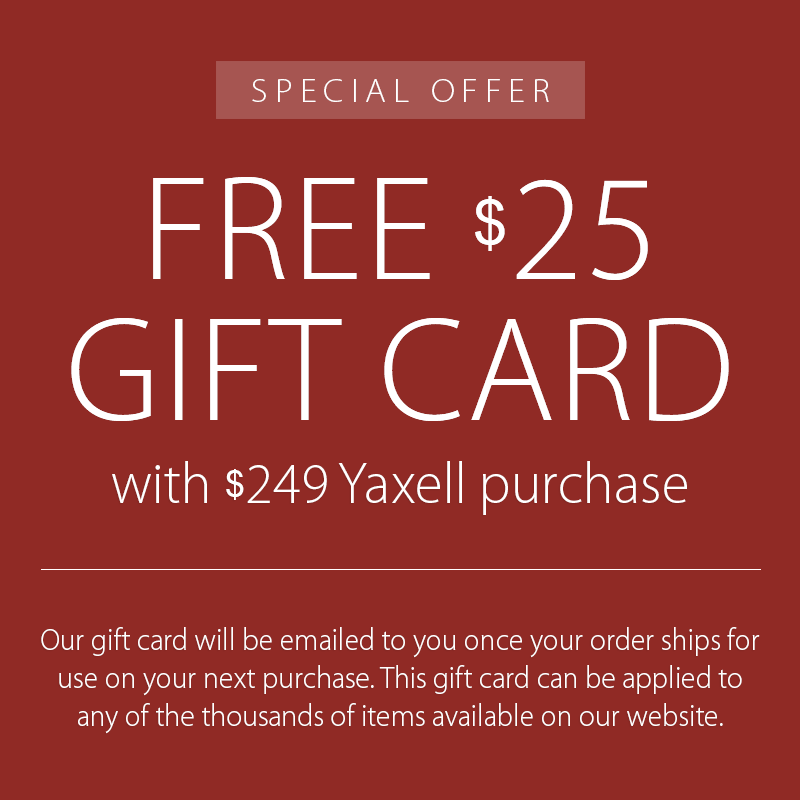 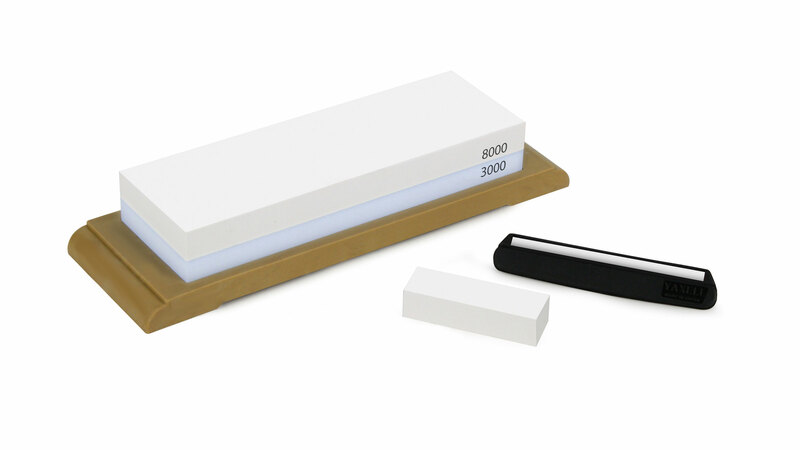 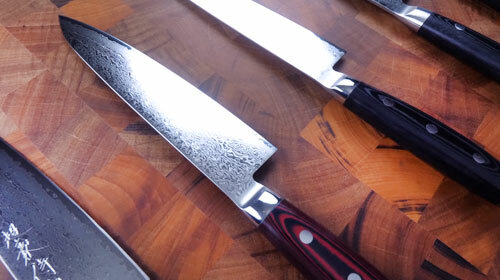 Yaxell Japanese Water Stones are designed for reforming a dull blade edge in no time. 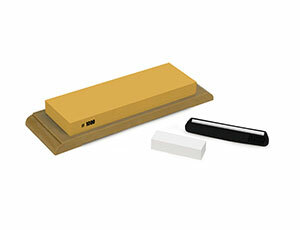 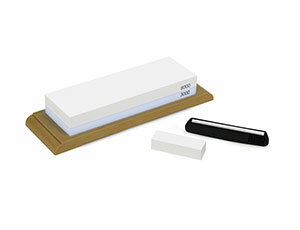 Includes a Yaxell Japanese Water Stone, non-slip removable rubber base, blade angle keeper, and a leveling stone. Be sure to soak the water stone with the rubber base in water for 10 minutes. For safety, keep the water stone on a flat surface while using the angle keeper. 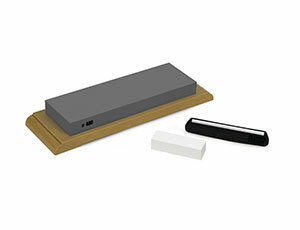 When completed, use the leveling stone to correct any concave surfaces and removing metal particles on the water stone.